The last few months I’ve been working on a few creative ventures from my Civil title sequence (and TV show prep), to the I Am A Queen project and most recently the indoob podcast. In short, to describe what this podcast is: the indoob blog in audio form. WordPress has such features as posting audio clips (they even have a phone number I can call!) but I honestly never get around to utilizing them as much as I should or wish to. Like most of my regular readers can see, I don’t write in my blog as often as I wish I did. But with the upcoming new year, I will start to focus more on better time management especially with all the productions I’m involved with. I’m not necessarily waiting until Jan 1, 2015 to do so either. However, with what I’m calling my “blogcast,” I am attempting to record by unconventional means unconventionally. My blog can be kinda random, so will the podcast. I’ll record whenever, wherever, whatever, however, with whoever via Skype, personal digital record I carry around, stripping audio from video, and occasionally return to the CSB studios I’m used to. The invitation to be a part of my show is open to all. As I’ve been asked a few times already, The Lost Dial is on hiatus and with good timing because I don’t think I could keep up with everything I was doing at that time. But once I get into a good flow, I’ll call up Mike and rework the show into whatever my new normal will be as well as keep the blogcast going. I’d like the show to be weekly or even bi-weekly, but let’s call it TBD for now. I’m calling it an experiment as I don’t know what results to expect other than I want listeners to be entertained. But I also won’t know if listeners are entertained unless I get feedback. So with that said, check it out and tweet me, email me, comment below, shout at me in the street, call me up and let me know! 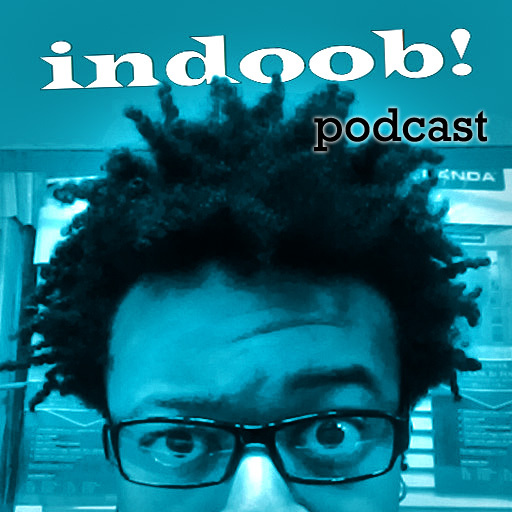 The indoob podcast can be found at http://indoob.podbean.com/ and possibly iTunes. (At the time of writing, it’s not yet been set up.) There will also be a YouTube indoob channel.